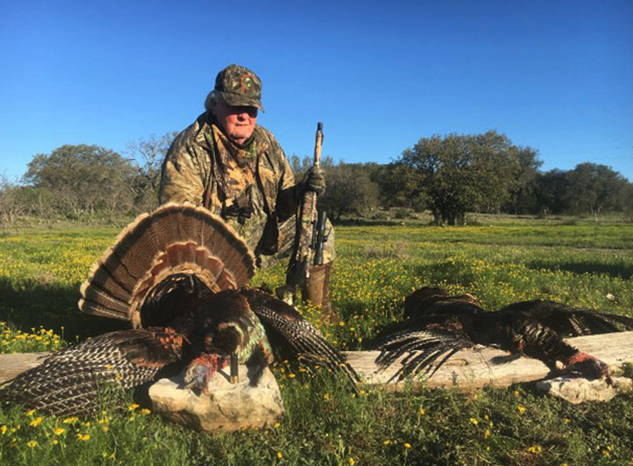 B & B Outfitters offers some awesome Spring turkey hunting. 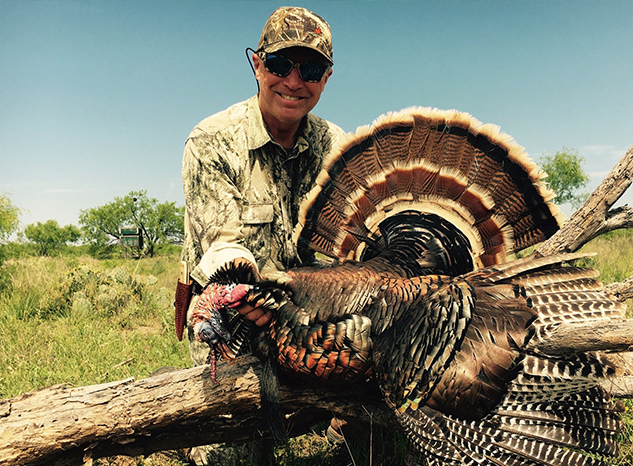 Our ranches cover approximately 25-30,000 acres of some of the finest turkey hunting in Texas. Three ranches are located in several different areas of Texas from Rocksprings, San Angelo and Sheffield, Texas. These ranches have been the permanent residence for these birds for years. The terrain is full of hills, creek beds , thick brush and cactus. Together this makes for some superb hunting. Our guides scout on a regular basis so they can put you in the right areas for your hunt. As on all our hunts, your satisfaction is our primary concern. You can sit in a stand, back up in the brush or spot and stalk. 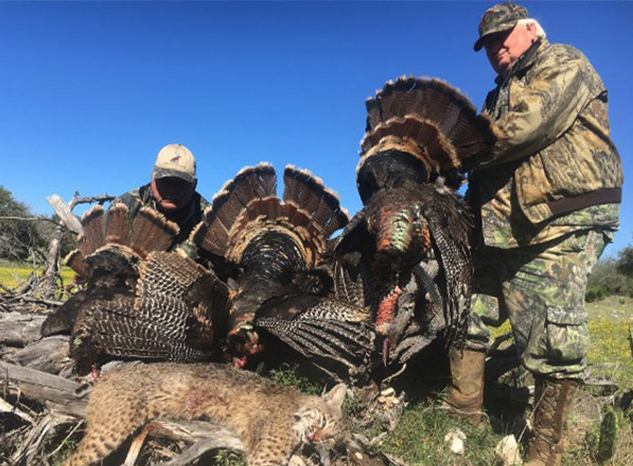 If you are looking to start to start your slam, hoping to complete your slam or you simply want to match wits with these birds then a hunt with B & B Outfitters is just what you need. We typically experience 100% success rate on these hunts. From beginner to expert this is the hunt for you. All meals lodging and your choice of fully or semi-guided hunt. Non-hunters are always welcome based on availability. Non-hunters daily fee is $150.00 per day.